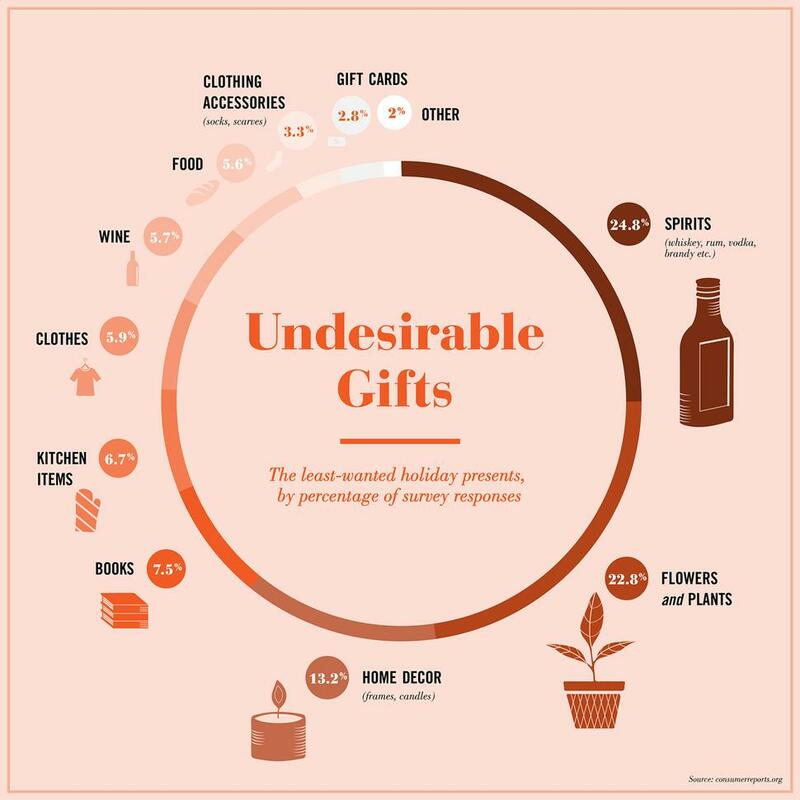 Christmas is no excuse for ill-considered infographics! I was kidding…You’ll be assaulted by a host (to use a Christmassy word…) of infographics that kind of sum up the best and worst of the infographics business. You’ll find out about the world’s largest and smallest gifts, how many people are hurt in accidents, favourite movies, favourite foods, most and least favourite gifts, the proportion of people who go to parties, and who do or don’t put up trees…you name it, it’s there. Of course, we’re all trying to grab a bit of your attention (which is what I’m doing now). But seriously, do we need all this stuff? And what works? I reckon it’s simple. The whole point of infographics is to present information in a way that’s easier to digest, and more engaging, than other media. That’s it; nothing more. So if, in producing an infographic you present information in ways that make it harder to digest and less engaging, you’re wasting your precious time, and probably a client’s budget. So this infographic on Distractify works well. It tells a simple story with a single data set. I think the colouring could be more effective and maybe the coloured circles could reflect the proportions better, but on the whole it works, and it tells me something I need to know. On the other hand, take a look at this. It’s about Christmas stress. Well I developed quite a bit of Christmas stress just trying to work out what it was saying. What do those numbers mean on the map? Oh – there are two maps; I wonder why. And there’s some advice in the middle…then another map and some fairly long text labels. I’m exhausted. And worse still, I’m not better informed. This kind of multi-layered information is ideal for animated infographics, where a linear story can be constructed to string all the various chunks together. But on a single image? It ain’t going to work. And honestly, is it necessary?